There's a lot of little snacking places in Little Tokyo. 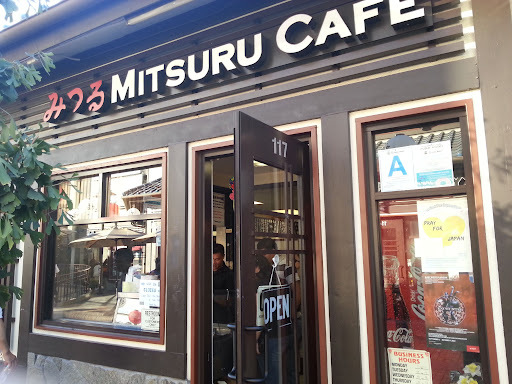 One thats hard to ignore is Mitsuru Cafe, especially when it seems like everyone is popping in here to pick up their imagawayaki. I'm not a red bean fan at all, but even I was a little curious to see how they tasted here. These little cakes remind me of my summers in Hawaii. 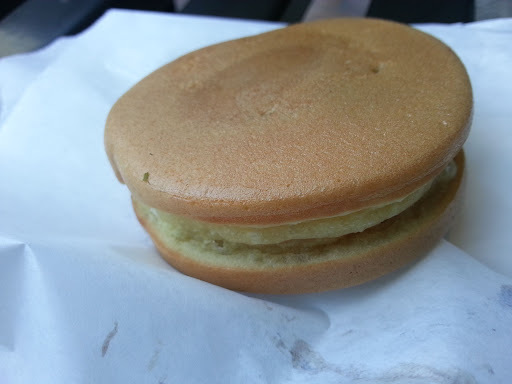 As a child, these cakes filled with the vanilla custard were one of my favorite snacks there. Unfortunately, after many searches I've been unsuccessful in locating the vanilla custard filled ones. The only remnants of one of my favorite snacks seem to be only the red bean filled ones. Even in Hawaii, it seems that the vanilla custard ones are no longer made. The takoyaki (octopus balls) were one of the many other street snacks sold here. I liked that they put them on a stick for a quick food on the go option. The takoyaki balls were ok here. I've had better. These were a little too mushy and the sauce was all soaked in already. 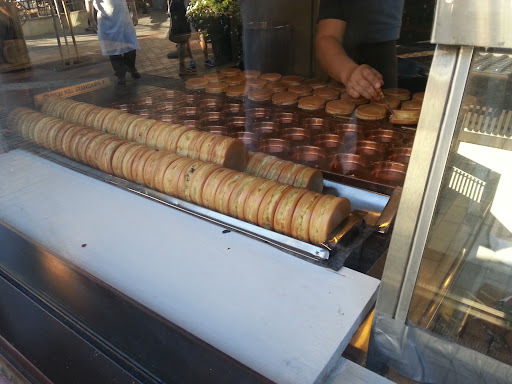 Just walking up to the window you can see that the imagawayaki are made fresh. When you order them, you can feel the warmth of it in your hands. 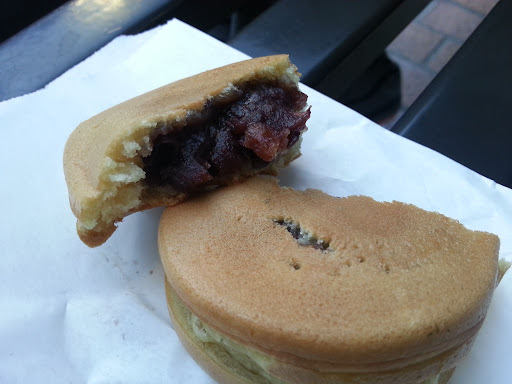 The pancake like outside is filled with the soft, sweet azuki bean. Since the turnover here is pretty high, the cake is dense, but chewy with a subtle sweet taste. Even though, I tend to turn up my nose at red bean, these were pretty delicious.